Below the dam is a ramp for whitewater boater access to the river. There are five designated campsites upriver of the dam including a concrete boat launch, vault toilet, picnic tables at some sites and a trash receptacle. There are 15 designated campsites downriver of the dam with a trash receptacle and vault toilet near the concrete boat launch, and an additional vault toilet further downriver. All campsites include fire rings and improved access roads. Burning pallets is prohibited in and around the Swan Falls area. Violators will be asked to leave. All camping is on a first-come, first-served basis. Visitors are asked to camp in designated areas only, due to the fragile soil and plant life in the area. Stays are limited to 14 consecutive days. Campers must obey posted campground rules and keep motorized vehicles within the posted speed limit. Water is available at the restroom in the day-use area, but not at the campsites. The day-use picnic shelter can be reserved online. This reservation fee is not subject to taxes. Day-use picnic shelters can be reserved year-round. You can make reservations up to nine months in advance. If you require assistance or accommodation to make a reservation, please call 1-844-472-7275. A convenience fee of $5 will be charged to make reservations by telephone, in addition to the standard $10 reservation fee. The Swan Falls museum is open to the public, from 10 a.m. to 4 p.m. every Saturday between April 15 and Labor Day. Tours at other times may be arranged in advance by emailing us. Scheduling tours outside open hours requires at least two weeks prior notice. See tour guidelines. Visitors can walk across the face of the dam to reach the south side of the Snake River. New safety guidelines have prompted the installation of a gate that locks automatically at 9 p.m. Anyone on the south side of the river at 9 p.m. will still be able to return, however, the gate will open only in one direction. An equestrian parking area is available below the dam. No overnight camping. Please do not clean horse trailers in the parking area, or anywhere in the Swan Falls recreation corridor. Visit the Treasure Valley Back Country Horsemen’s website to learn more about equestrian opportunities for this area. 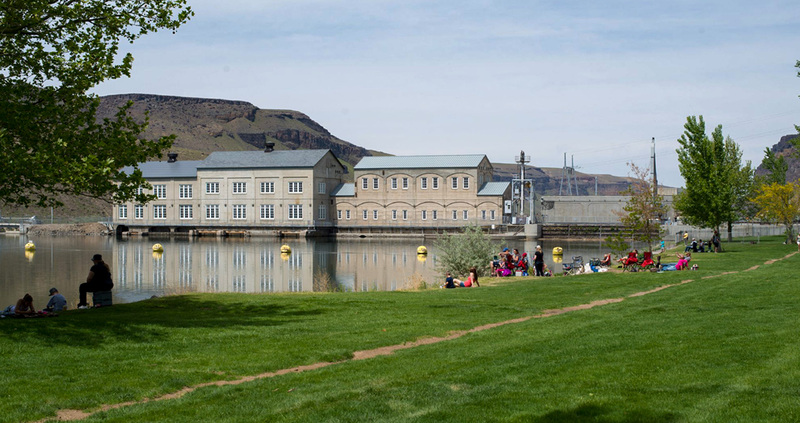 The Bureau of Land Management website has more information about recreation in southwest Idaho, including Swan Falls Dam. Swan Falls Dam is on the Snake River about 40 miles south of Boise. It was built in 1901 to provide electricity to nearby mines. Swan Falls is the oldest hydroelectric generating site on the Snake River. Idaho Power built a new power plant in the mid-1990s. The old plant is now a museum.